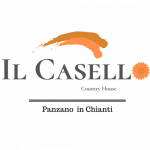 1.For refundable reservations only, Il Casello Country House will charge the whole amount in case of cancellation after deadline (3 days before the arrival) – so called Late Cancellation – or in case of No show, respectively as a penalty or as a service rendered. FULL CHARGE if cancelled within 3 days of arrival. 2.In case of any variation of stay, the rates may be subject to change. 3.In the event of the reduction in the number of nights originally booked, the hotel reserves the right to charge the total amount of stay, as a penalty for late cancellation. We remind you that it’s mandatory for all our Guests, adults and children to show a valid ID card with photograph at the time of check-in. The hotel reserves the right to verify the validity of the credit card requesting a credit card hold (pre-authorization) to the issuer. the hotel reception will verify, at check-in,the holder of the credit card provided for the charge during the booking process. If you are not in possession of that same credit card, we advise you to present written authorization of the card holder upon arrival. We would like to inform you that, as by Legge di Bilancio 2019, the restrictions to the cash down and bondholders payments, are limited to € 2,999.99 for the Italian citizens or Italian residents and to € 15,000.00 for foreign citizen. This city tax has to be paid by the guests upon departure, unless otherwise specified.